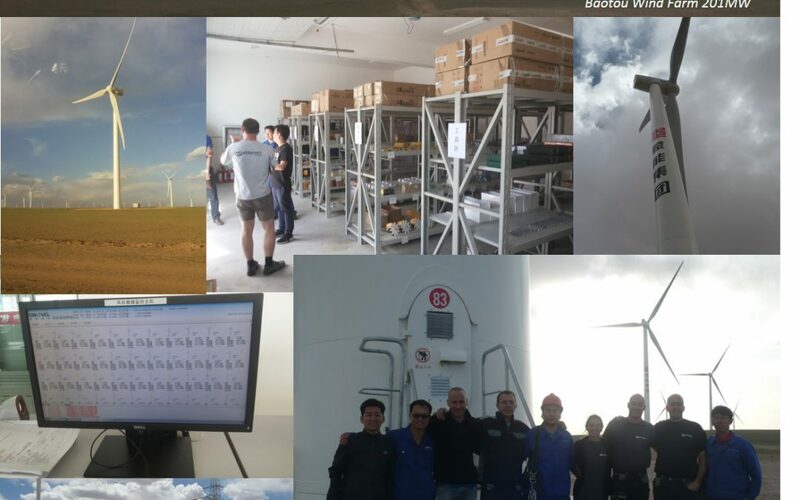 Last week, a technical team from Vergnet travelled to China to meet Sinovel in order to discuss the construction and maintenance of its wind turbines. The team first visited a 201MW wind farm including 134 SL1500 wind turbines near Baotou, then met up at Sinovel’s headquarters in Beijing. This meeting allowed the teams to prepare upcoming projects taking place under the Vergnet-Sinovel partnership which was set up back in 2015. The agreement enables Vergnet to widen its offer with higher power wind turbines, now from 1.5 to 3 MW. The two partners share the ambition of offering turnkey facilities for large-scale onshore wind farms combined with maintenance and financing solutions. For large wind farms in areas prone to cyclones, Vergnet will offer the SL1500 turbine, which can withstand category 4 typhoons (wind speeds of over 280 km/h) and is already in operation on Hainan Island in China. Vergnet’s track record spans 25 years and includes successful wind energy installations across the globe such as the Ashegoda wind farm in Ethiopia. This wind farm is the biggest in sub-Saharan Africa and it consists of 30 Vergnet GEV HP 1MW turbines, 54 Alstom Eco 74 turbines of 1.67 MW and an GE-Grid substation connected to the national grid (230 KV/130 MVA) which supplies power to over three million people. Find out more about our wind energy solutions, hybrid energy solutions and solar applications, or read our case studies to learn about our renewable solutions in action throughout the world. Follow us on Twitter and LinkedIn to stay up to date with latest news and projects.